My dear friend, Elisabeth, is the hostess with the mostest. She’s always entertaining and does it without a hitch. With three kiddos, she has a few parties to pull together. She offers up an idea for an impending party and lets me take full control! Love. She’s an entertainer like no other, but let’s me hem and haw over the little details. Her son Jack’s fifth birthday party is the reason I entertained this whole party thing…but she’s the reason I’m still here. She coerced nudged me to keep on keepin’ on and I’m so very glad that she did! This summertime fun was for Emily’s (her youngest) fifth birthday. Family comes in from all over and bakes, celebrates, lifeguards, and zhuzhes the place. Makes setting up all the birthday hoopla not only easy, but also very enjoyable. 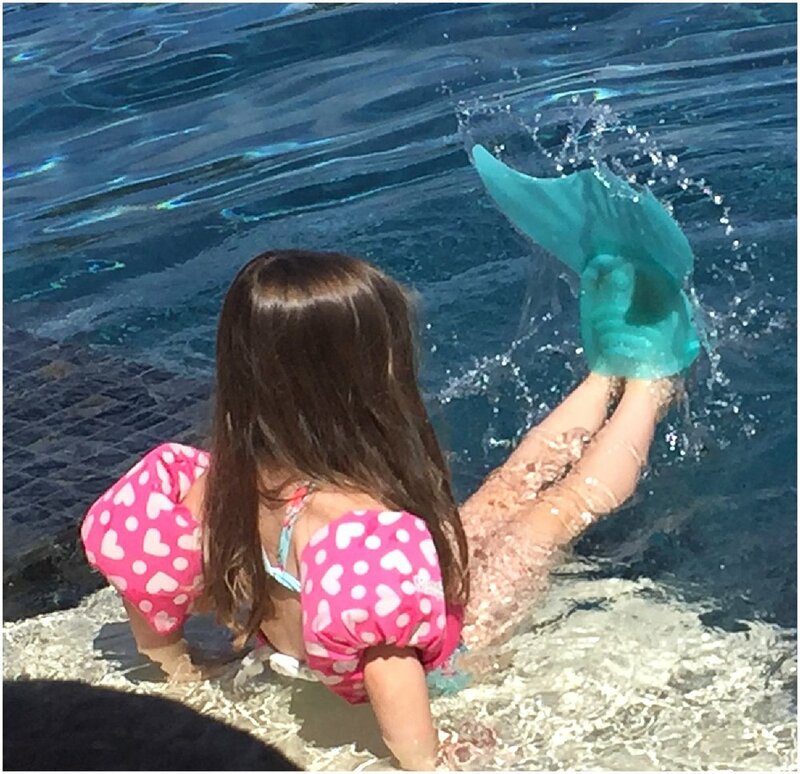 This party had mermaid tail floats and fins for everyone’s feet. The guests seemed to dive right into the fun!